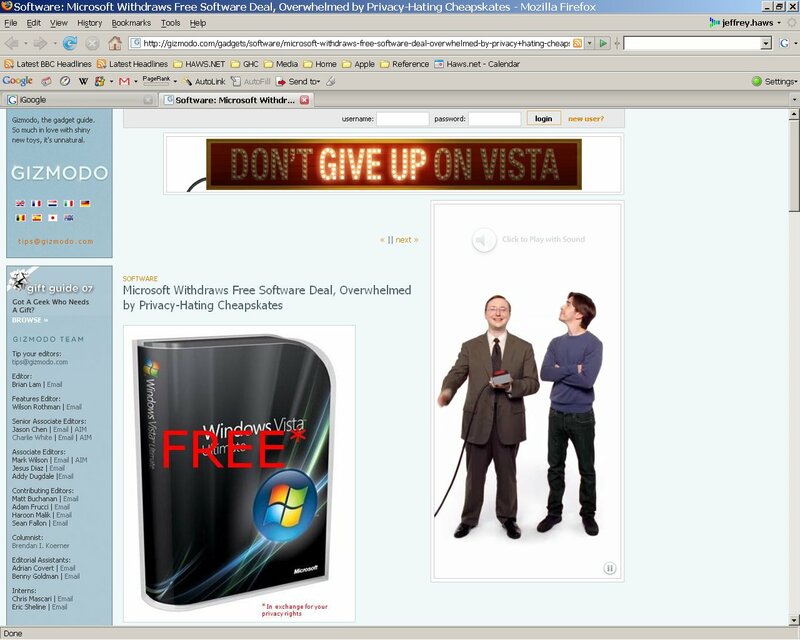 Below is the link to a Gizmodo story about how MS Promised lots of free software (including Vista) if you just let them watch all your internet activity for a year. Guess they were overwhelmed by the request. But that’s not why I’m posting. I love the fact that they place one of the better Mac ad’s on the same page. I took this screen shot (left) in case it changes by the time you read this.